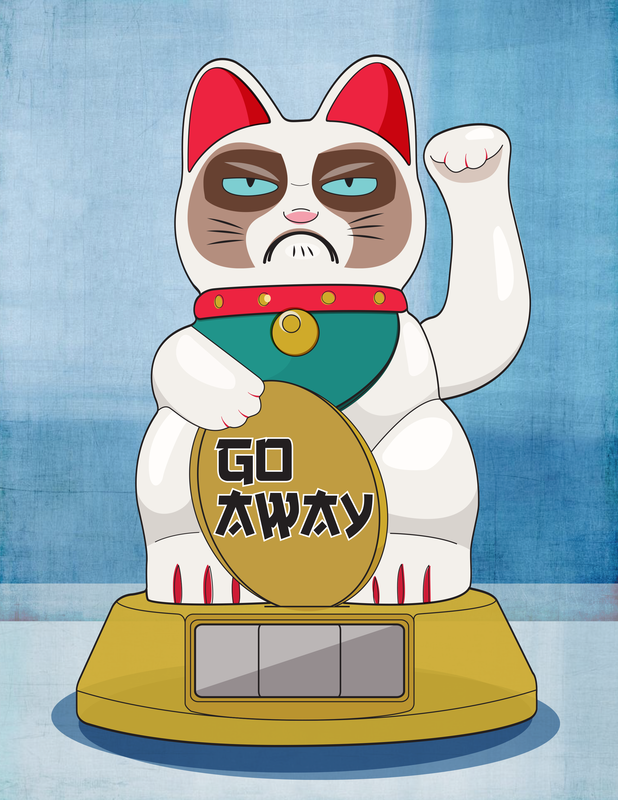 Concurrently inspired by Grumpy Cat and a good luck paw-waving cat I bought in Chinatown, I drew this in exchange for free soup dumplings at Bob’s Shanghai in Rockville, MD. I guess this is what he does while I'm at work: color and read Marketing News. That's what I would be doing.